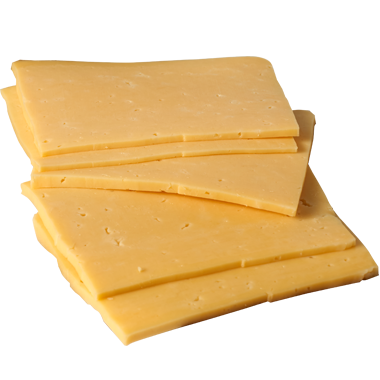 Butterkäse is a decadently creamy cow’s milk cheese that’s incredibly popular in Germany and Austria where it originated. In Wisconsin, we also loudly sing its praises, and when we do, we pronounce it booter-keh-zuh. Butterkäse is short for “buttery cheese” because of its soft and silky, butter-like texture. It’s a cheese we’re always more than happy to hang out with in a corner at a party, whether it’s served straight-up or in a dish. If butterkäse in the room, you’ll always know where to find us. Butterkäse is easy to slice, spread and melt. If you want crisp slices, then slice it when chilled because it becomes spreadable at room temperature. Light and refreshing drinks go down well with rich and decadent butterkäse. Stock the fridge with pilsner, pale ale, lager, kolsch or a slightly sweet German weiss beer. If wine sounds better, chardonnay and grüner veltliner are both good choices. Brandy, port and other digestifs and dessert wines will also never turn down a date with butterkäse. We love how neighborly this mild and buttery cheese is with other foods. If you want to honor its roots, showcase it on a German-themed snack board with thinly-sliced Black Forest ham, and plenty of mild-to-hot mustards and pickles. Since it’s such a lovely melter, we also use it for ham and cheese melts, as a burger topper and blended with butter into noodles — German spätzle, definitely, or some crazy-delicious macaroni and cheese.